Calif.-based Riverside Transit Agency (RTA) voted unanimously to award Veolia Transportation a contract to provide paratransit services. Veolia will employ 200 operators and staff and operate 93 paratransit vehicles, transporting approximately 430,000 passengers annually in Riverside County. The contract term is for three years with two, one-year extension options. 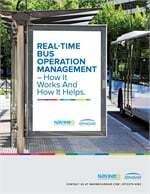 The company will also utilize its advanced paratransit technologies with VeoliaVision, its proprietary performance dashboard, and implement its highly customized version of RTA Maintenance Software to improve productivity and performance. The contract is effective starting Feb. 1, 2014.